How long does it take to settle my case so I can catch up on my bills? The length of time for settling a case depends on many factors and no lawyer can make guarantees on either the outcome or the timeline for that outcome. Some of the factors are how serious the accident was, how badly you were injured, how much medical treatment you require, and which insurance company represents the at-fault driver. They’re all tough to deal with, but some are worse than others! Let’s say the other driver is clearly at fault in a rear-end auto accident. Maybe you suffered a soft tissue strain sprain and required an X-ray to assess the damage and a couple months of physical therapy to help heal. Even a very basic case like that can take between five to eight months to settle. It can be a long process, depending on the facts and circumstances of the accident, to make sure you receive fair compensation. I’ve already accepted a settlement from the insurance company, but I’ve since had more medical bills. What can I do? Unfortunately, if you have already signed a release form with the insurance company, you’ve lost the ability to pursue legal action against either the at-fault driver, their insurance carrier, and possibly your own UM insurance. The best possible scenario is to avoid this situation altogether, which you can do by not signing the release form until you have absolute medical clearance from your doctor that you are finished with treatment. If your injuries are of the type that will require future treatment(s), you need to take this into account in any settlement or resolution. If you need help determining if the insurance settlement offer is fair and will cover all of your current and future expenses, give us a call at 985-240-9773. Does the amount of property damage to your car matter in your injury case? The medical literature shows that there is no direct correlation between the amount of property damage in an accident and the type and severity of injuries received. A person is a minor fender bender with less than $500 damage can sustain severe injuries, and a person in a significant collision where multiple vehicles are “totaled” can walk away with no injury. Everyone has different injury tolerances. Two people who experience the same accident can have different injuries - this is because everyone — biologically speaking — is built differently. Some people may have a genetic tendency to be more predisposed to certain types of injuries. For example, women tend to sustain different types of injuries than men. Also, the fitness level and age of an individual can have a lot to do with the type and severity of injury received in an accident. As such, factors like wear and tear on the body and the actual individual’s injury tolerance, which is genetic, bears no relationship to the amount of property damage in an auto case. However, you need to be aware that many people including jurors are often biased towards the opinion that no/minimal vehicle damage means no/minimal personal injury. If you were injured in a no/minimal vehicle damage case, you will likely need a skilled attorney knowledgeable about defenses to this argument to effectively recover for your injuries. If you have questions about your personal injury claim, give us a call now at 985-240-9773 or fill out our contact form. Do Social Security retirement benefits affect my Long-Term Disability payment? "Al, let me see if I understand your question correctly,” I asked. I explained to Al, and now to you – how and whether any Social Security Retirement payments affect your LTD payment will be a function of the specific language of your LTD policy. And, each policy is slightly different. You will need to obtain a copy of your policy and read specifically what it says about receipt of any Social Security benefits. How SS Disability and/or SS Retirement benefits are construed and/or offset are policy specific. 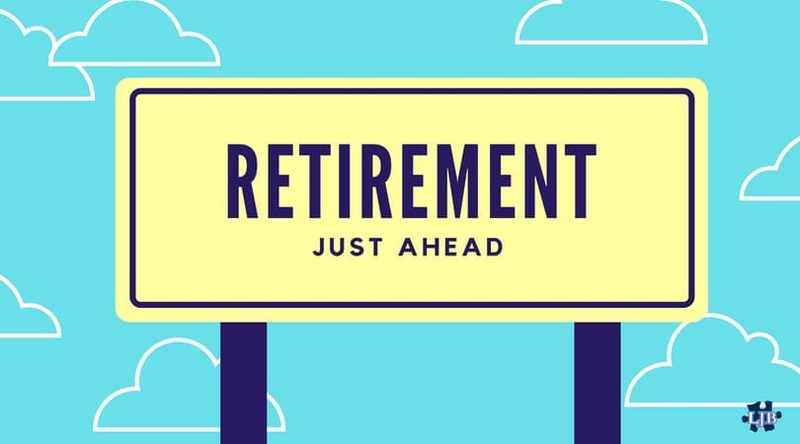 In most ERISA plans that I have reviewed, the LTD policy only pays benefits until you reach your Social Security Retirement age. If this is the case, the effect of receiving full SS Retirement benefits will be that you are now aged off of the LTD benefit. In private LTD plans, the policy period varies and how each policy handles offsets for SS Retirement differ. Al set off to find a copy of his policy. If you have this question, you should do the same! This is a question I am frequently asked. I strongly recommend that anyone who is hurt in an auto accident go to the emergency room immediately. However, emergency rooms only determine if you have any emergency medical needs and provide basic medication such as anti-inflammatory, muscle relaxers, and minor non-addictive pain relievers. It is important to know that most injuries worsen a day or two after an accident and can become unbearable over time, thus the medications and treatment you receive at the emergency room can be of tremendous benefit. After going to the emergency room, you’ll need follow up care and that MUST mean a facility with a medical doctor on staff who understands crash injuries and is skilled in treating these type of injuries. Additionally, most of these facilities also have a massage therapist, chiropractors, nurse practitioners, and additional medical professionals on staff to help you through the treatment process. If your pain persists, most doctors will request for you to have an MRI to further evaluate the type of injury you have and determine your treatment needs. If you have injuries such as knee, wrist, hip, ankle or other types of injuries besides neck and back injuries, you should follow up with an orthopedic doctor. If your neck or back symptoms persist you may be referred to a neurologist, neurosurgeon, or orthopedic spinal surgeon for a consultation. In summary, be sure to go to the emergency room after a car accident even if your pain is not significant because it may increase over time. Next, you should follow up with a facility that has a medical doctor on staff to treat your injuries and not just a chiropractic or massage therapist’s office. While massage therapists and chiropractors are an important part of the treatment process, you need a medical doctor directing and coordinating your treatment. PTSD and Social Security Disability – What Do I Need To Show To Get Disability for PTSD? Michael is a client of mine. He admirably served our great country in some very brutal and hostile territory. The horrors he described experiencing have clearly left a mark on him. While a decorated soldier and a certified tough guy, Michael struggles to deal with the Post-Traumatic Stress Disorder his service left him with. He attends counseling sessions at the VA clinic in Reserve, Louisiana, meets with a psychologist and psychiatrist at VA New Orleans, and has trouble in his everyday life as a result. Michael called us looking for help obtaining Social Security disability benefits due to his PTSD. PTSD is characterized by experiencing or witnessing a traumatic or stressful event or learning of a traumatic event occurring to a close family member or close friend, and the psychological aftermath of clinically significant effects on functioning. Symptoms and signs may include, but are not limited to, distressing memories, dreams, and flashbacks related to the trauma or stressor; avoidant behavior; diminished interest or participation in significant activities; persistent negative emotional states (for example, fear, anger) or persistent inability to experience positive emotions (for example, satisfaction, affection); anxiety; irritability; aggression; exaggerated startle response; difficulty concentrating; and sleep disturbance. PTSD can be seen in our military veterans, in crime victims, and survivors of other traumatic or stressful events – such as car crashes, physical and verbal abuse, and similar events. SSA recognized the seriousness of this disease in its most recent mental health listings. Listing 12.15 recognizes the severe effects of PTSD on survivors and others and provides a pathway to a favorable decision. Marginal adjustment, that is, you have minimal capacity to adapt to changes in your environment or to demands that are not already part of your daily life. If a person’s PTSD does not specifically meet the listing, a skilled and experienced Louisiana Social Security Disability attorney can help present a PTSD case in a strategic way to make sure all of the severe symptoms and limitations caused are taken into account by SSA. For Michael, and others like him, SSA’s recognition of this debilitating disease in a specific listing is tremendously beneficial. If you or someone you love suffers from PTSD and needs help with obtaining Louisiana Social Security Disability benefits, give our team at Louisiana Disability Law a call today: (985) 240-9773. Please note that names are changed and circumstances may be combined for illustration purposes! What are the different types of auto insurance coverage and how do they help me? Property Damage Liability – This provides coverage for all property damages the insured is legally obligated to pay due to an accident. Louisiana law requires a minimum of $25,000 in property damage coverage. Bodily Injury (BI) – Bodily Injury provides coverage for death or serious and permanent injury to others when you are legally liable for an accident involving your automobile. Louisiana law requires a minimum of $15,000 per person and $30,000 per accident. Medical Pay (Med Pay) – This covers medical treatment for the insured or resident family member resulting from an auto accident, regardless of fault, as well as any person occupying the covered auto. This is not a required coverage in Louisiana. Uninsured Motorist (UM) – This is coverage provided to the insured, resident family members and any other person occupying the covered automobile for bodily injury resulting from an accident involving an uninsured or under-insured driver. This is not a required coverage in Louisiana. Comprehensive Coverage – This is coverage for your own property damage in case of an uninsured, underinsured or self-caused accident. While this coverage is not required by Louisiana law, if your vehicle is financed then the bank/credit union/loan provider typically requires comprehensive coverage to protect their interests. Yes! As a personal injury attorney, our firm only collects a fee if WE WIN or SETTLE your case. Our fees are contingent on us recovering MONEY for YOU – if no recovery, then no fees. And, our firm charges less of a contingency fee than most other firms! We operate on a sliding scale for our fee that is based on the status of the case when we recover YOU money. This can result in you saving thousands of dollars! You really have nothing to lose by hiring a lawyer to represent you! Do I need a Louisiana Personal Injury Attorney to Settle My Case? If you were involved in a car crash, industrial accident or another incident, you may be wondering if you need an attorney to settle your claim. Here is my answer – maybe, maybe not. It depends on the specifics of your case and your injury. In my opinion, some small injury cases do not require a personal injury lawyer. How do you know if your case is a small injury case? Some things I see in small injury cases: (1) minimal impact; (2) limited or no doctor visits; or (3) no ongoing treatment or limitations after a few weeks. My office usually does not get involved in cases with very minor injuries requiring only a visit or two to the doctor because doing so is usually not cost-effective for you or us. The amount of damages at issue in these smaller cases is not that much, and after paying an attorney’s fee and your medical expenses, you may be left with very little or nothing. This is simply not fair to you. 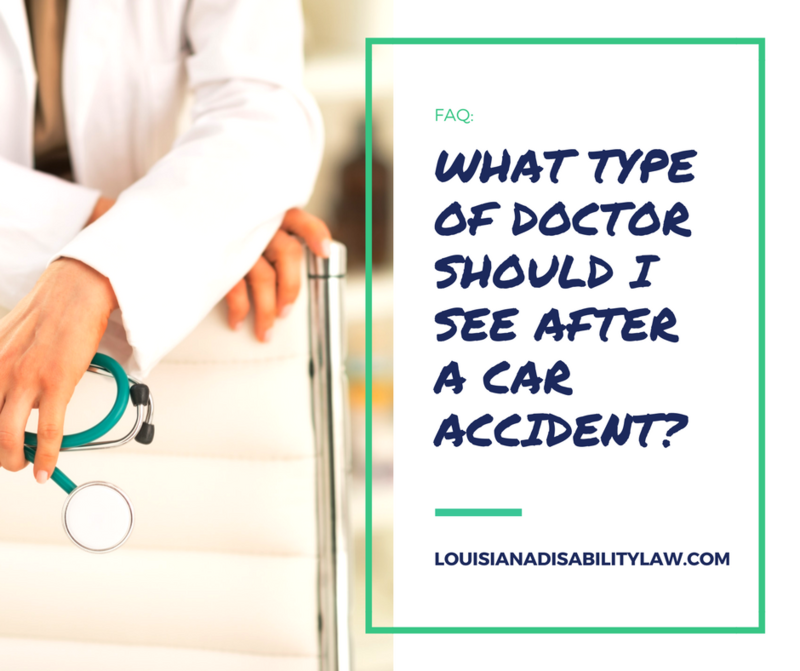 However, for more serious and disabling injuries, accident victims will usually benefit from having an experienced Louisiana personal injury attorney represent them. Why? An experienced accident and injury attorney is knowledgeable about legal authority and knows how to effectively utilize the court system. In some cases, an insurance company will only make their best offer with a trial date approaching. An experienced personal injury attorney can effectively prepare you and your case for trial, and try your case to a judge or jury if need be. And – in 1999, the Insurance Research Council (an insurance industry non-profit) found that injured people who used an attorney received, on average, three and a half times more in settlement money than those who settled without hiring an attorney. This is not just lawyer talk. The insurance industry’s own data shows how important having an attorney is for injured victims. Ever wonder why the insurance industry hates lawyers – because lawyers hold them accountable for the damages their insured’s cause. So, do you need an attorney to settle your claim? Maybe not – if your injury is minor and your damages are small. But, if you have serious or disabling damages, the insurance industry’s own data suggests – you should get an attorney. You make the decision. Louisiana disabling personal injury lawyer Loyd Bourgeois is ready to provide you the assistance you need! Contact us today to schedule a FREE no obligation legal consultation – (985) 240-9773. How Do I File a Personal Injury Claim in St. Charles Parish? How do I file an injury claim in Metairie? When you are seriously injured because of a car wreck in the River Parishes, Louisiana, you may want to file a personal injury lawsuit. While you should make the decision to contact an attorney to help you with this process, you may want to try handling the case on your own. Whether you hire an attorney or handle it on your own, there are a number of very important steps that you must take to file your personal injury claim. Properly drafted complaint/petition for damages (this document gives an overview of the case – it identifies you (plaintiff), the defendant, what happened, and other basic facts. Make sure defendant(s) answer the suit timely. If not, take appropriate action to place defendant in default. If defendant answers suit timely, begin litigation with defendant. This is a brief and non-exhaustive overview of the beginnings of a personal injury lawsuit. Your specific case may be different or require additional steps. In order to hold the insurance company and defendant accountable for your damages, you must complete all steps properly. While this sounds daunting, a qualified Louisiana personal injury attorney can take care of this process and make sure things are done correctly. This is just the beginning. After these steps, much more extensive information and steps will be required. These steps include discovery (answer questions from the defendant, having our questions answered by the defendant, requesting documents, producing documents, giving depositions, taking depositions, working with experts, etc. ), negotiations, trial preparation, and going to trial. By cooperating with your Louisiana personal injury attorney, you will become a team, and by working together you’ll greatly increase the chances of negotiating a fair settlement or winning your personal injury claim in court. After a serious accident, while you are dealing with disabling injuries, large medical bills, car repairs, and insurance companies, having someone work for and with you can mean the world. If the prospect of going through just the beginning steps alone seems daunting and you decide you need help, Louisiana disabling personal injury lawyer Loyd Bourgeois is ready to provide you the assistance you need! Contact us today to schedule a FREE no obligation legal consultation – (985) 240-9773.